A kidney disease diagnosis can be devastating news—for patients’ partners, as well as for the patients themselves. That’s because many patients don’t discover their illness until their kidneys begin to fail, requiring dramatic action that can upend everything from diet to work to finances. The medical team will attend to the patient; however, they won’t necessarily attend to YOU, the caregiver. 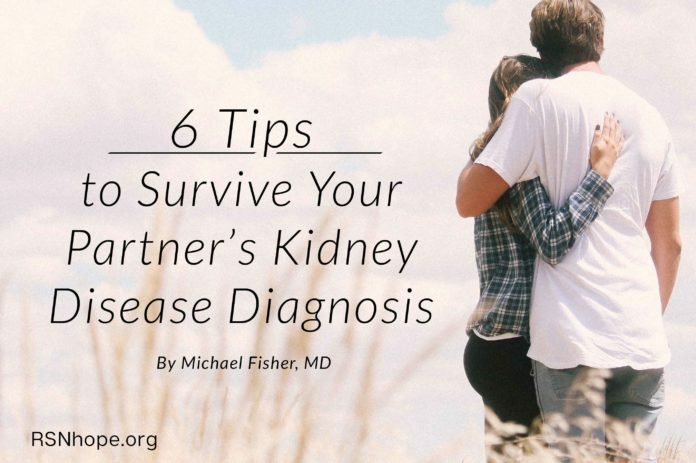 Here are my tips for surviving your partner’s kidney disease diagnosis. Tip #1: Expect changes in your own life, as well as in your partner’s. Suddenly you may have a partner with strict dietary requirements who can’t work, help with household responsibilities, or, on some days, even crawl out of bed. He or she may also need to be accompanied to their medical appointments and have you advocate on his or her behalf. All of your partner’s stress will create additional stress for you. Tip #2: Enlist friends and family to help you, or hire the help you need. Get a neighbor to drive the kids to and from school or enroll them in an after-school program for help with their homework; hire a housekeeper; negotiate flex-time or permission to work from home; and ask family members and friends to volunteer for regular assistance. This is an all-hands-on-deck occasion! Tip #3: Recognize that renal failure also affects the brain. Toxins build up in patients’ blood and alter cognitive function as well as personality—in addition to the psychological and emotional distress patients often feel as a result of losing control of their lives. This is another reason for you to be present at doctor visits; the patient may not remember all of the healthcare providers’ instructions. When kidney disease affects the patient’s cognitive and psychological functioning, try to remember: it’s the disease—not the person. Tip #4: Expect to be your partner’s advocate and spokesperson. If medical staff try to bypass your participation, insist on being present, informed, and involved. You are an important link in patient care continuity. Tip #5: Don’t underestimate the importance of self-care. When you’re the only partner who can work, take care of the kids and the household, and help the patient, when are you supposed to take care of yourself? But when your life is in crisis it can seem like an impossibility. Just as you’re instructed to put on your own oxygen mask before helping anyone else with their mask if an aircraft’s cabin loses pressure, you, as the caregiving partner, must also take care of yourself. The fact is, if you don’t you are putting yourself at risk of a health crisis of your own. No one wants that. Tip #6: Reframe challenges as opportunities for growth. Now is the time to double-down on your spiritual practice, self-help reading, yoga, or daily affirmations. Your own calm, positive attitude will help your partner maintain a positive attitude too—a major factor in positive health outcomes. 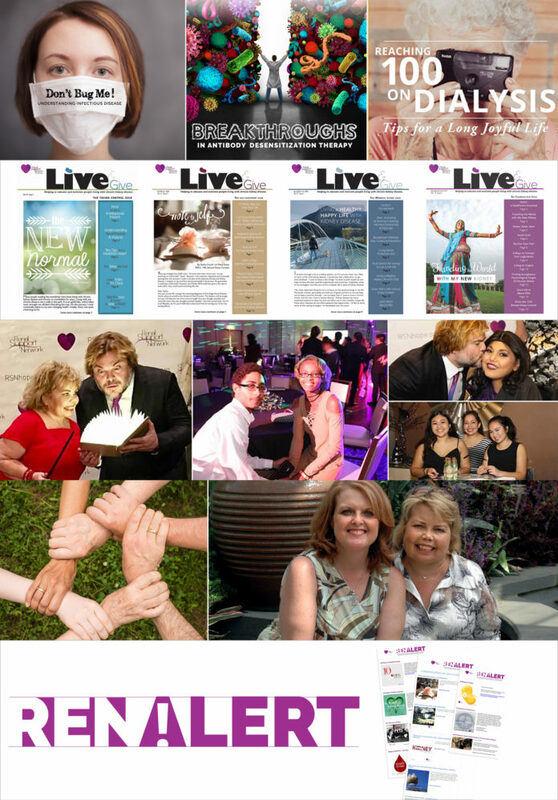 When lung cancer suddenly put me on the patient-side of “the medical conveyor belt,” I, too, had the opportunity to develop more compassion for my patients and colleagues and teach my children about resilience and how family members support one another. That’s a big part of how I coped: I turned the experience into an opportunity to grow. 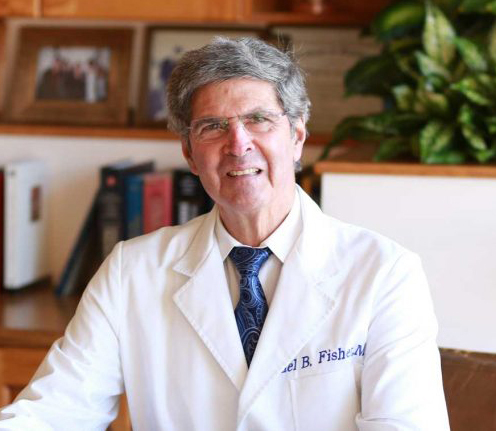 For 38 years, Michael Fisher, MD, was the co-medical director of acute dialysis at Santa Barbara Cottage Hospital, and remains the co-founder of the Santa Barbara Artificial Kidney Center. 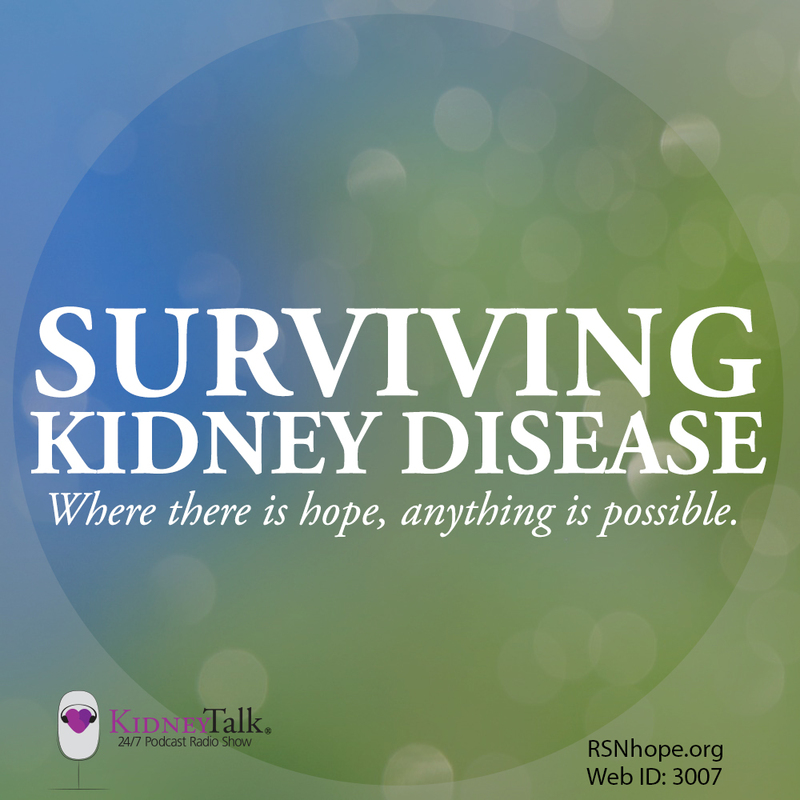 The author of “Surviving Kidney Disease: True Stories of Love, Courage, Hope, and Heroism…and a Roadmap for Prevention,” Fisher has helped hundreds of patients prevail against ESRD—End Stage Renal Disease—the result of Chronic Kidney Disease. Now his mission is to help as many people as possible avoid kidney disease through healthy diet and lifestyle choices and to help those with the disease lead healthy, normal lives through the gift of kidney transplantation.